On 14 January the thermal vacuum tank that wioll form a major part of KTH’s space technology lab arrived at the Albanova University Center from its manufacturer i Italy. 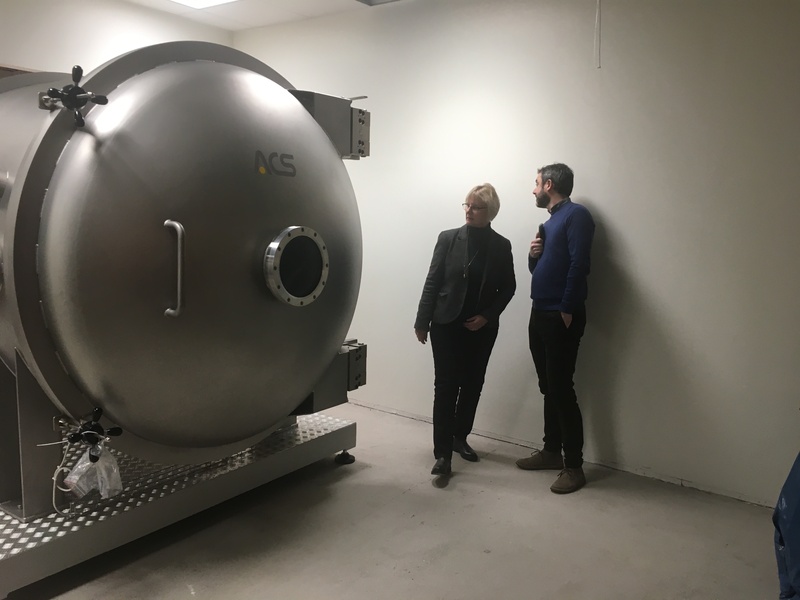 In the picture below the Director General of the Swedish National Space Agency, Mrs Anna Rathsman, and KTH physics professor Mark Pearce look at the huge tank. The plan is to do thermal testing in vacuum of MIST in this tank. M.Sc. thesis student Fredrik Unell is writing a theis on how to do this. Part of his work is to model how MIST and the tank will intercat. 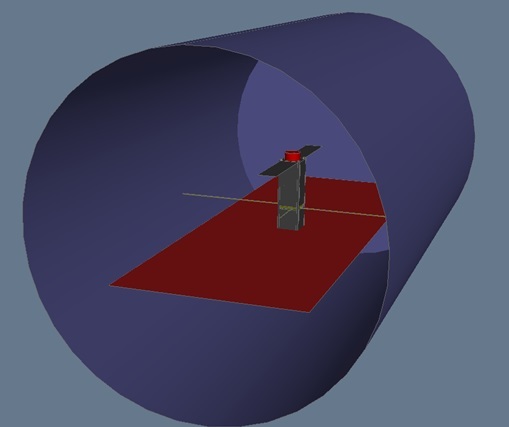 The picture below shows an outline of this model.